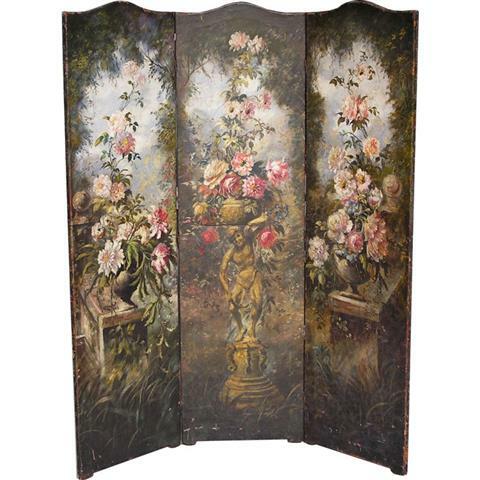 American three panel hand painted leather screen with floral urns on squared plinths & figural statue motif. Late 19th Century . Signed by maker G. Lasslow, New York. Each panel is 20.25 Wide. CONDITION: Excellent. Excellent with a few repairs on back of screen. Repairs were professionally fixed & colored to match. .